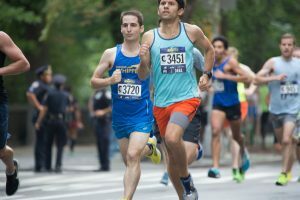 I’ll always remember the 2016 5th Ave Mile. This year, I officially met my goal of running under 5:00 with a time of 4:55. 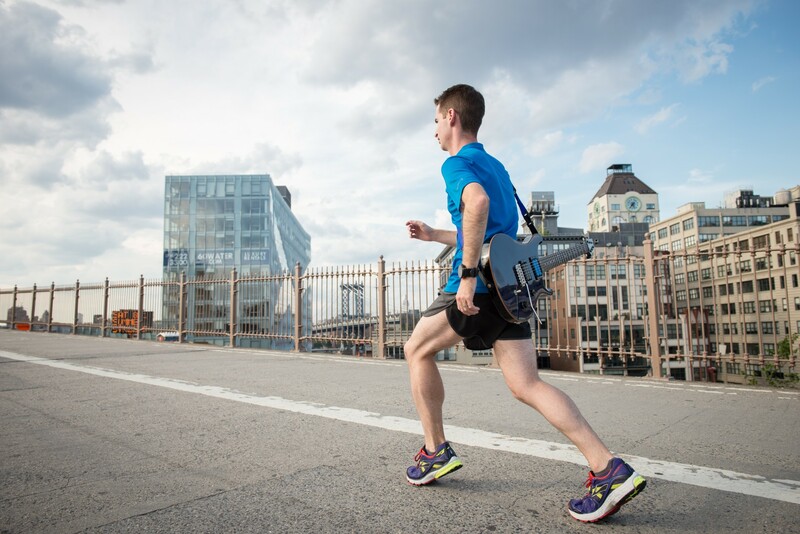 When I started to train for my first marathon in 2014, I gave myself a goal to lower my pace down to 5 minutes per mile. I knew if I trained consistently and completed the right workouts I could achieve it, however I didn’t know how long it would take. This two-year process taught me valuable lessons in perseverance and building confidence that I could meet my potential. The biggest lesson I’ve learned with running is how to exercise patience. Ask any successful marathoner and they’ll say, “The real race begins at mile 20.” The mile is short, but not that short. It’s tough because you can’t make up for time as you can in a 5k or longer distances. To this day, it’s the only race where I’m nervous at the start line. The mile is fast, but I knew if I ran too hard from the start I wouldn’t have enough energy left to hit my goal time. To achieve my goal, I approached running the mile in four parts with goal times for each quarter. I knew I had a good chance to meet my goal in practice, even though I never ran below 5:10—perhaps something should be said about not leaving your best in training? My training mixed speed with endurance and I changed up my exercises each week so I could adapt well. I had learned this technique when developing as a musician and found it works just as well with running. For the week of the race I cut down my training and tapered to prepare. I went from running 60+ miles a week down to 15. A few days before, I ran 200 meter repeats on the track and felt really good. Afterwards, I left it to God and relaxed until the big day. On Saturday I lined up towards the front focused and ready to go. I had warmed up at home and arrived just in time to start. I hit the first quarter around 1:10 and felt ok. Once I hit halfway around 2:22 I knew I would break 5:00. I crossed the finish line and could still breathe and talk—maybe a sign I had more in me? It didn’t matter though, I met my goal and felt I executed the mile with the proper effort. As I prepare for the Staten Island Half Marathon and training in Kenya, this race gave me the confidence I need to do well in the coming months. In order to improve, I needed to step out of my comfort zone and explore the unknown. I hope to race my third 5th Ave Mile next year and improve on my mile time. Congrats on the awesome time!